Item # 312151 Stash Points: 5,199 (?) This is the number of points you get in The Zumiez Stash for purchasing this item. Stash points are redeemable for exclusive rewards only available to Zumiez Stash members. To redeem your points check out the rewards catalog on thestash.zumiez.com. 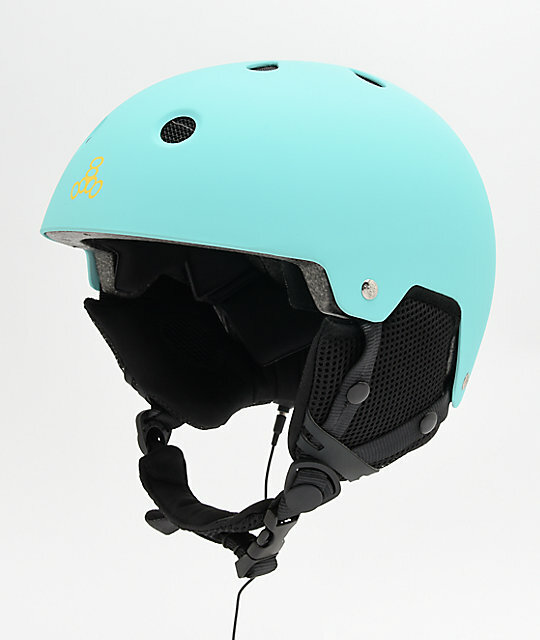 Protect your brains in the Brainsaver Audio Baja Teal Snowboard Helmet by Triple Eight. This shred helmet features a classic skate-inspired design, and includes a built-in audio system so you can listen to your favorite tunes while you snowboard. The Brainsaver meets all of the safety standards for recreational snow sports, so you can hit the slopes safely. 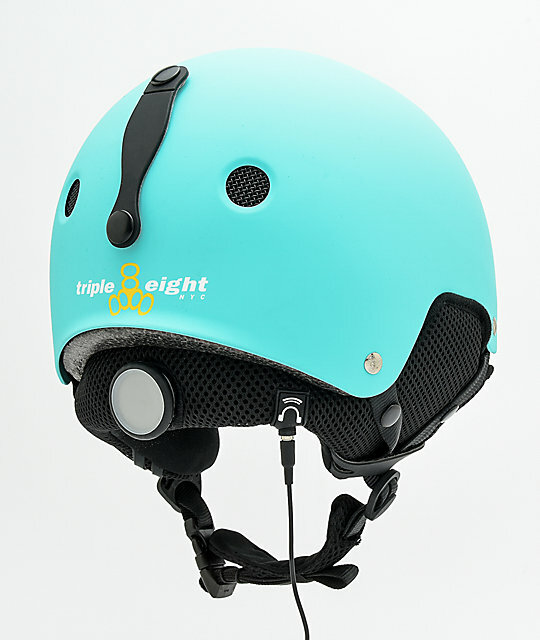 Brainsaver Audio Baja Teal Snowboard Helmet by Triple Eight. Built in audio system in ear flaps with 3.5mm audio cord, fits most devices. Shell made from tough ABS and rubber finish. Back neck curtain for additional cranium support. 11 vents with mesh covers. Meets ASTM F2040 and CE EN 1077 safety standards. Goggle clip on back to secure goggles. Adjustable fit dial system for a custom fit. XS/S 52-55cm, S/M 55-58cm, L/XL 58-61cm.